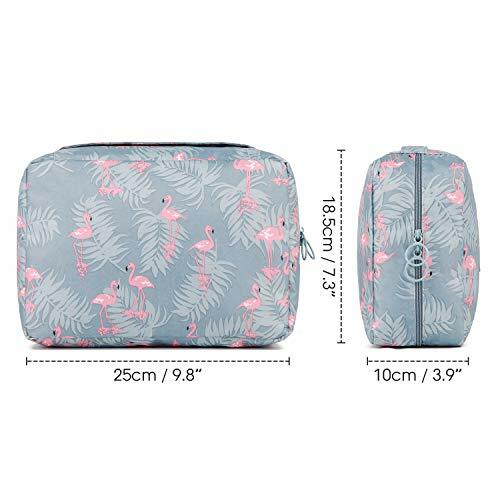 ❤ Narwy Travel Toiletry Bag features a main compartment with several dividers to keep all your personal items neatly organized and easily accessible without digging for what you need. 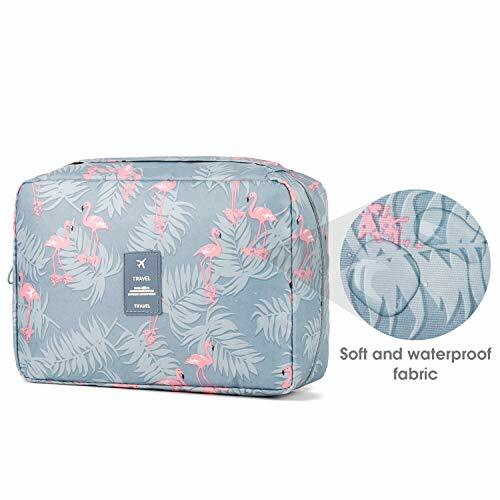 ❤ Waterproof and durable nylon and soft padding provide full protection to your toiletries and other essentials, preventing scratches, spills and bumps. ❤ Every details is delicately made, it would be a great gift for women and girls. ✅ PREMIUM QUALITY – Soft & padded fabric, reliable zippers and velcro, every detail is delicately made, giving you a high-quality using experience which will last for a long time. ✅ TRULY WATERPROOF – Waterproof and durable fabric protects your gear from spills and scratches. 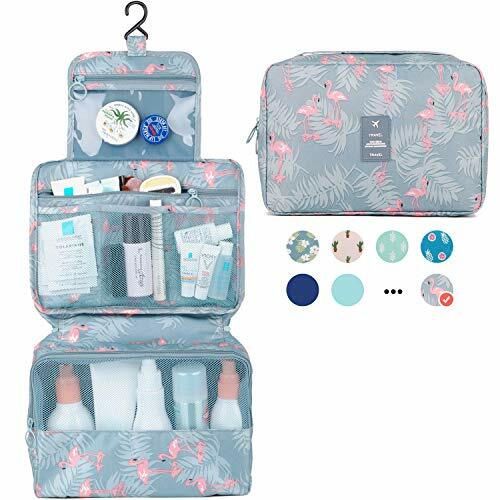 ✅ MULTIPLE STORAGE COMPARTMENTS – One main compartment with several pockets neatly organized your large/small skin-care products, cosmetics, lotion, shampoo, conditioner, toothbrushes and other items you need. 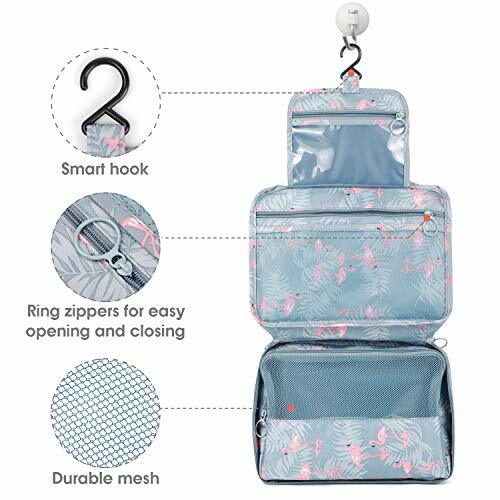 ✅ SMART HOOK – Buit-in hook allows hanging the toiletry kit from towel rack, coat hook or whereever is available, making your toiletries and cosmetics displayed well for easy access and saves counter space as well. 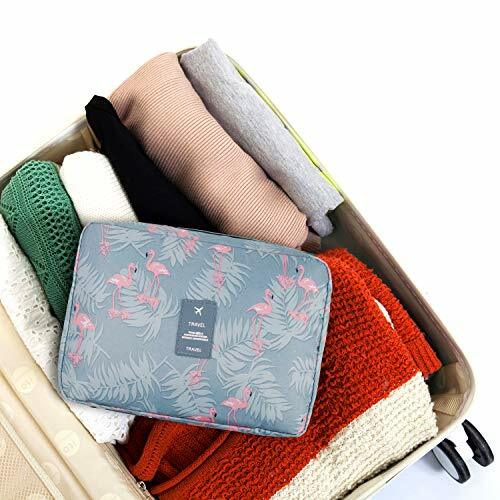 ✅ CUTE GIFT & VERSATILE – Compact, sturdy, portable, lightweight, well-wrapped, which makes it a great choice for business trips, travel, gym, camping, home use and more. It would be also a very cute gift for women and girls.